Coming September 29, 2018. Do you hear the bagpipes? It’s the Bank of Scotland Great Scottish Run, a collection of events in Glasgow for the whole family including a Toddler Dash, Family Mile, 10K and Half Marathon. The course starts in the heart of the city at George Square, taking runners past some of Glasgow’s main sights, crossing over the River Clyde via the Kingston Bridge, through Pollok Park and Bellahouston Park, and finishing on Glasgow Green. The friendliness of the city is evident as Glaswegians cheer runners on throughout the route, and the well earned title of UNESCO City of Music is complemented with bagpipers, drumming bands, and live music. 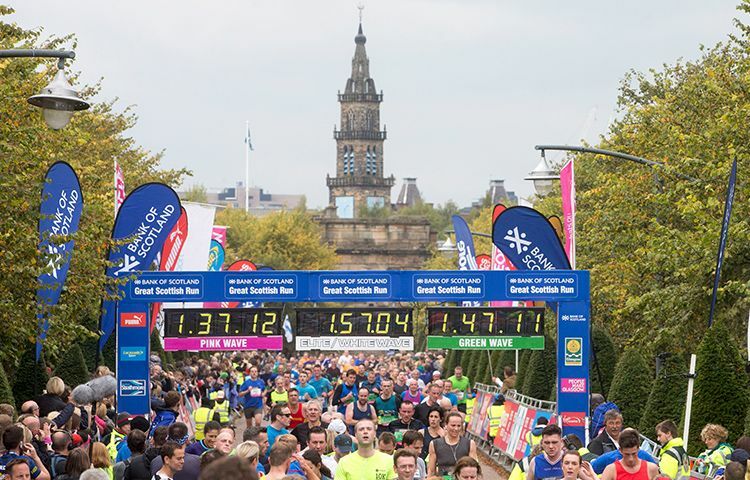 The Bank of Scotland Great Scottish Run is the biggest weekend of running in Scotland!